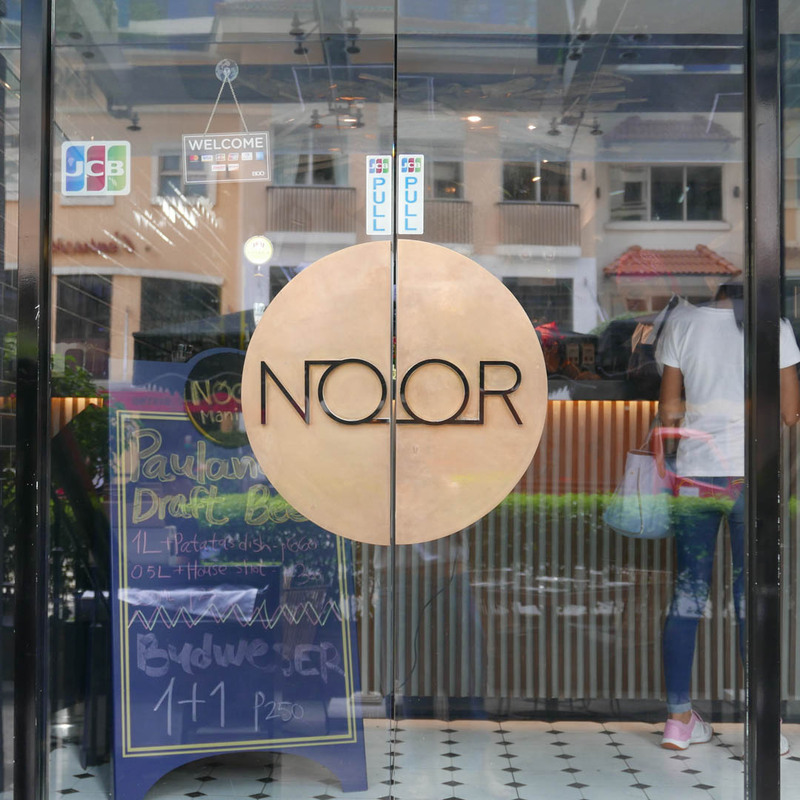 In August of 2018, Noor Modern Mediterranean finally opened its doors to the public. 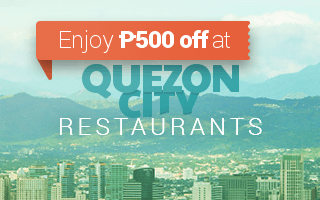 The much-awaited restaurant in Burgos Circle promised authentic Mediterranean cuisine prepared by Israeli chefs. And man, do they deliver. 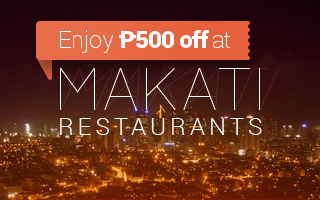 Get ₱500 off your bill when you book a table at Noor with Booky! 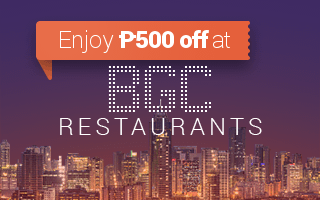 Don’t forget to download our app to gain unlimited access to Prime restaurants across Metro Manila. 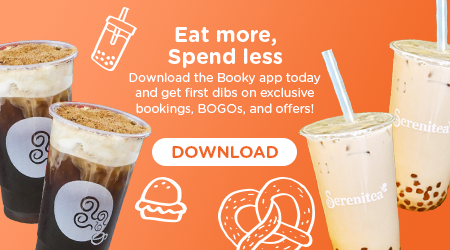 Food trips don’t ever have to end when you can save up to ₱500 of your bill, claim dessert freebies, and get monthly Buy One Get One offers with Booky. 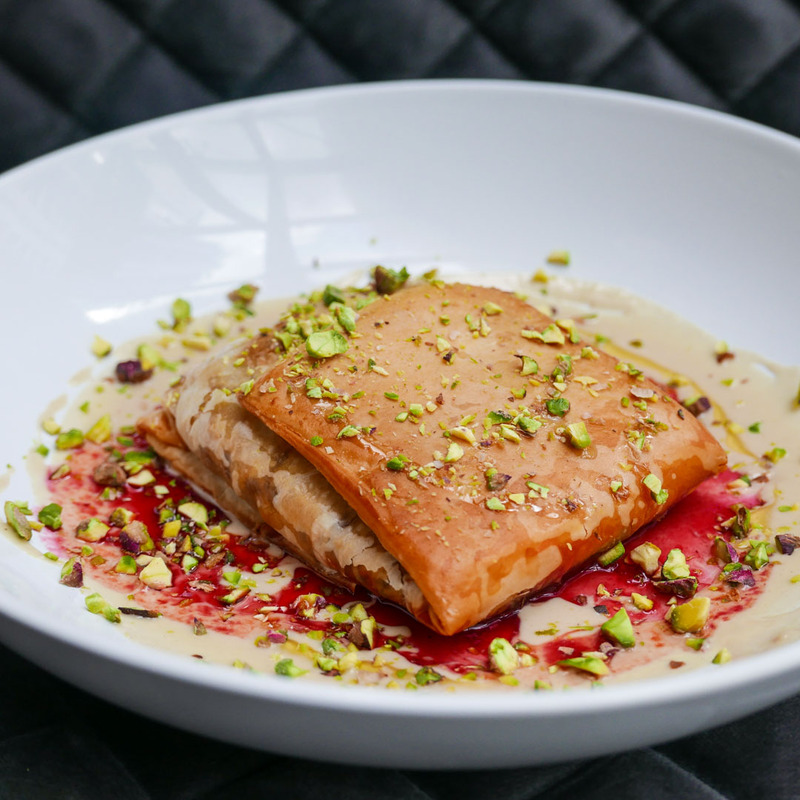 The Herculean task of reinventing Mediterranean cuisine fell on the shoulders of Noor’s owner and head chef, Or Hakmimi. 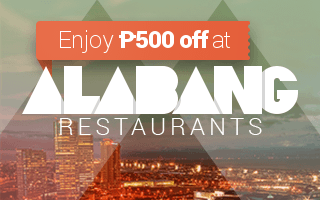 Originally from Tel Aviv, Chef Or moved to the Philippines with his wife and business partner, Tair. They always spoke about opening a restaurant together; and by August of this year, their dream had become a reality. 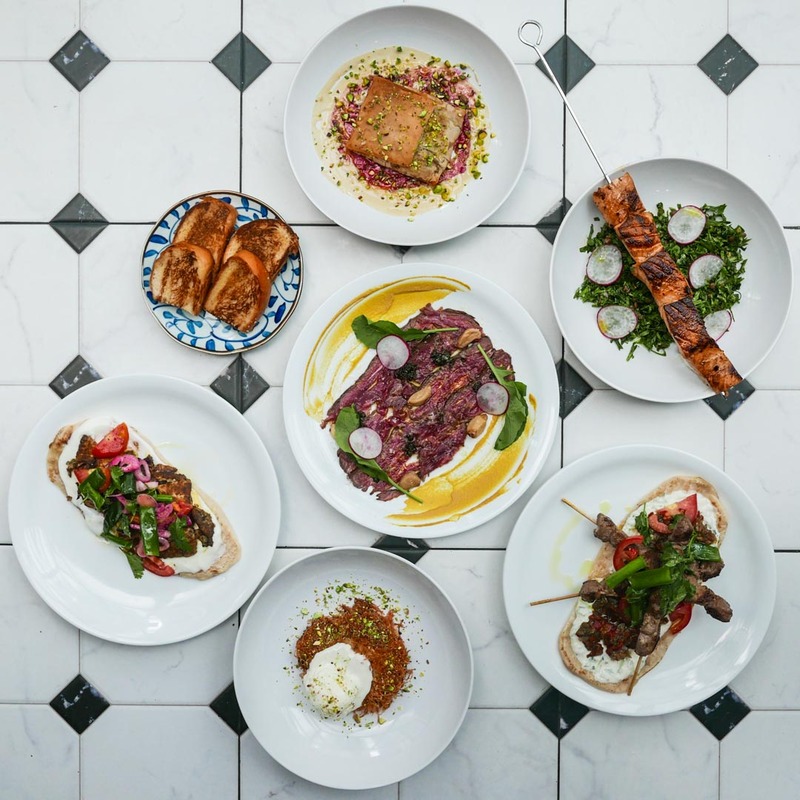 If you’re unacquainted with Mediterranean and Middle Eastern cooking, Noor is a good introduction to the bold and vibrant flavors of the region. 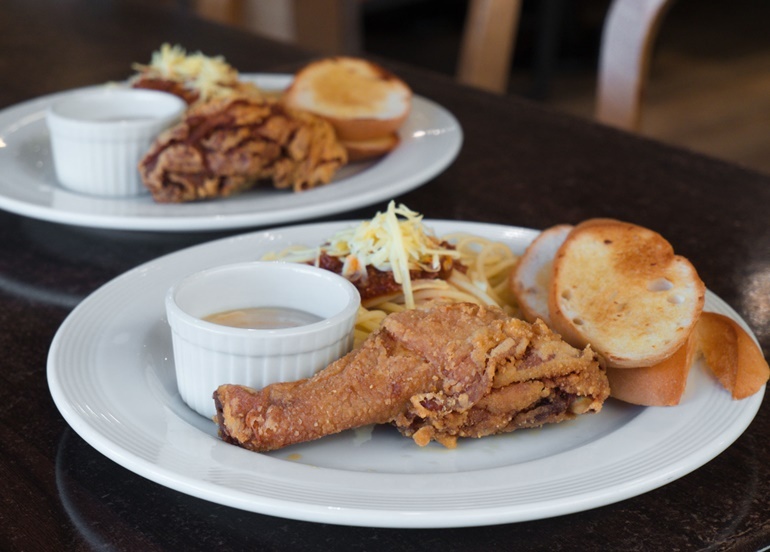 Chef Or puts modern twists on family recipes, making dishes that are approachable, but unabashed when it comes to spice and seasoning. The restaurant interiors are laidback, classy, and clean. 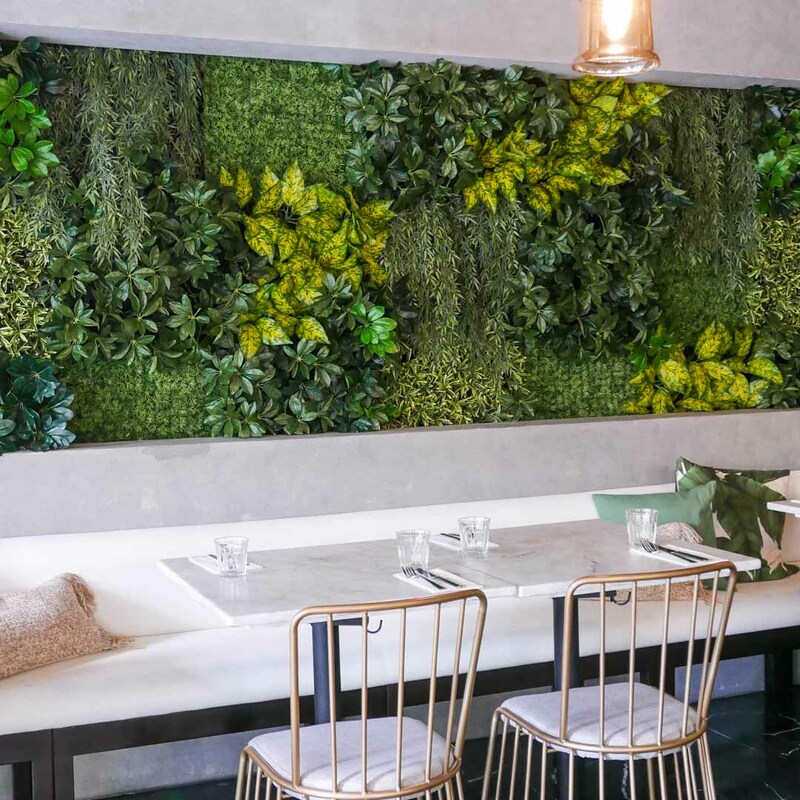 Immediately, your eyes are drawn to a wall of greenery which lends an oasis-like vibe to the place. 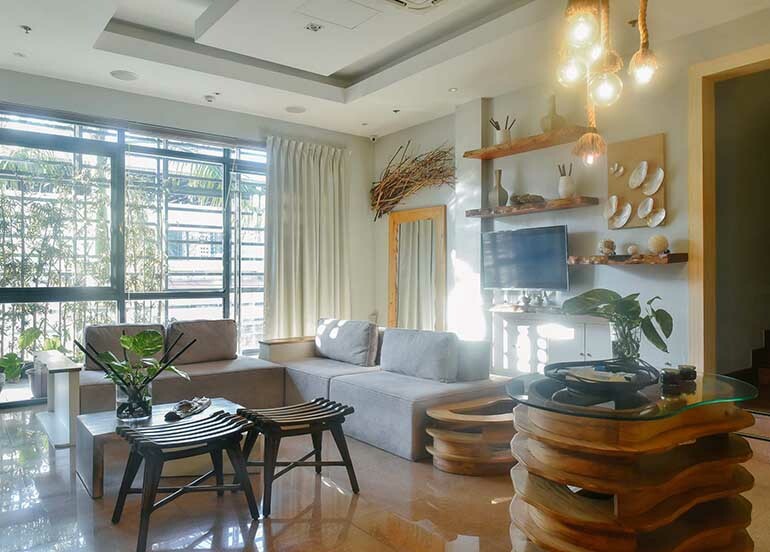 They have ample lighting in the daytime but, when the sun goes down, warm pendant lights help make the place feel cozy and intimate. Fun Fact: The paintings hanging on the wall are for sale! 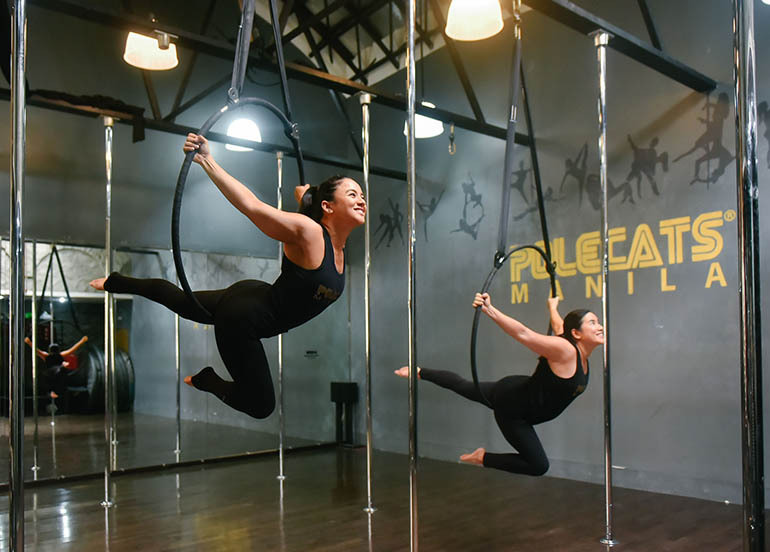 This is part of their initiative to help young, up-and-coming artists. You can’t speak of Noor without mentioning their unique dishes like the Roast Beef Carpaccio or the Lamb Baklava. Even their signature cocktails are Middle Eastern in flavor profile! 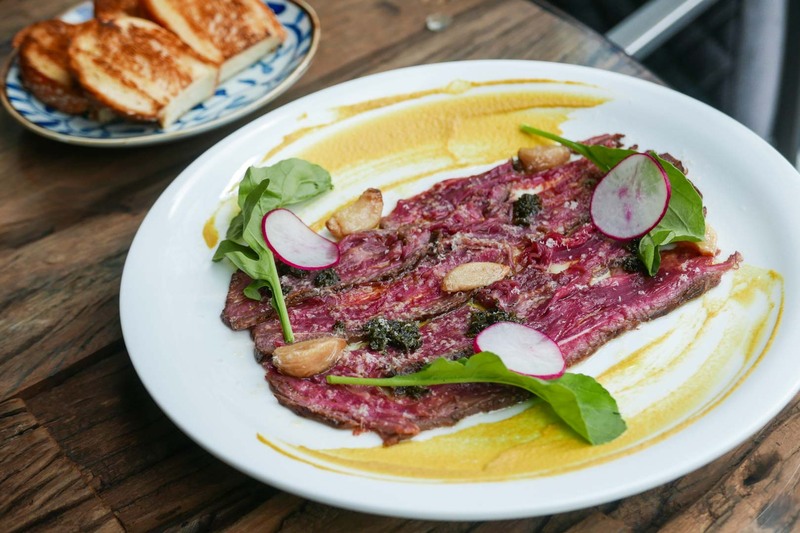 For starters, try the Roast Beef Carpaccio. You get thin slices of roast beef served on a plate dressed with mustard, garlic confit, and chimichurri. 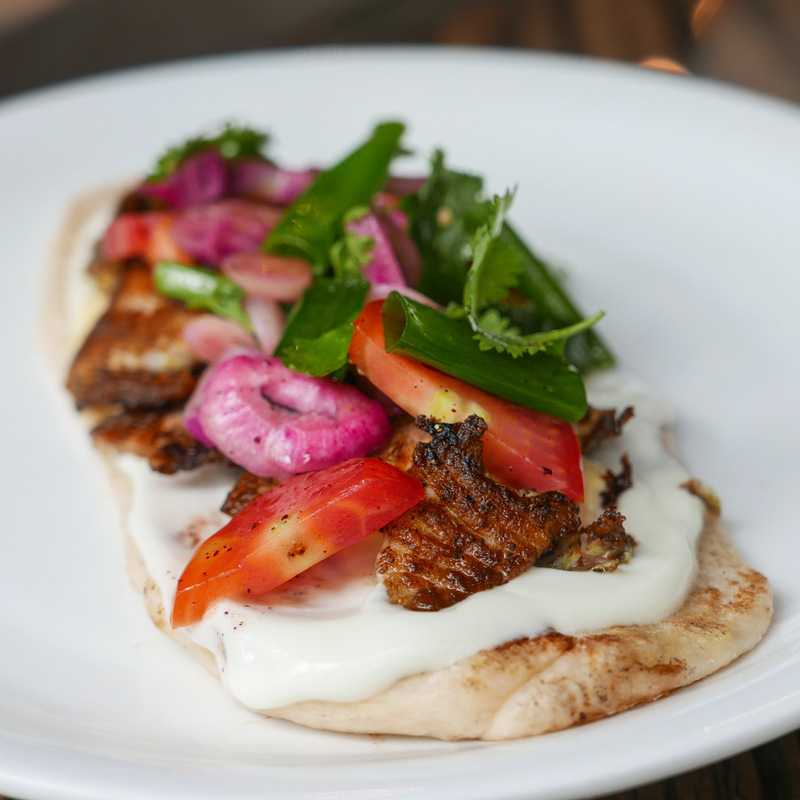 Noor takes freshly-baked pita bread and pairs it with well-seasoned and perfectly-cooked fish. A simple Israeli chopped salad and sumac yogurt add freshness to the light dish. 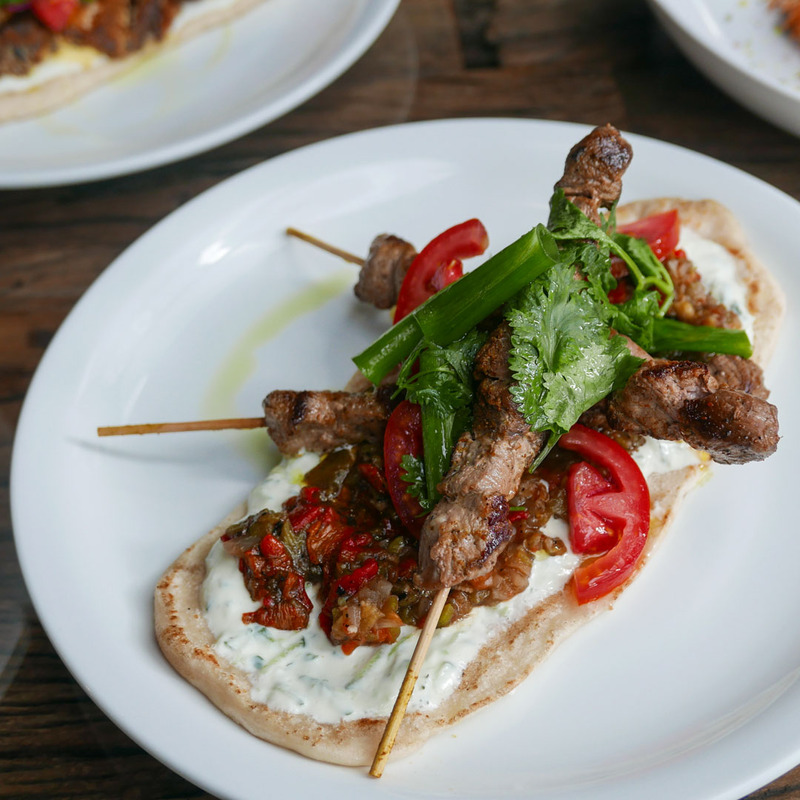 If you want something a bit meatier, try the Kebab version instead! It features roasted veggies, tahini sauce, and fresh herbs. Baklava is supposed to be a dessert but Chef Or does a complete one-eighty with his Lamb Baklava. He takes savory ground lamb, wraps it in layers of filo pastry, then serves it on a bed of sesame dressing and raspberry sauce. 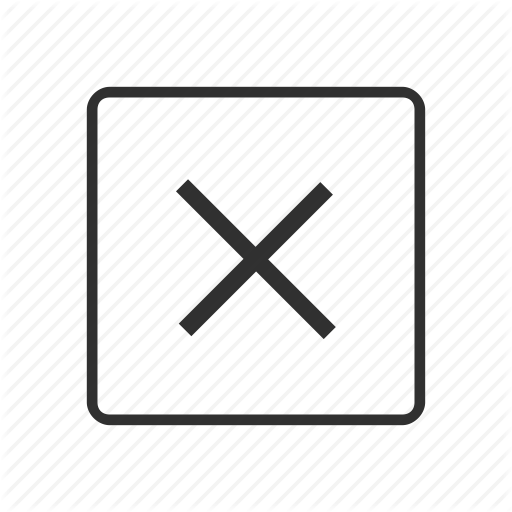 Fun Fact: This is the chef's personal favorite! 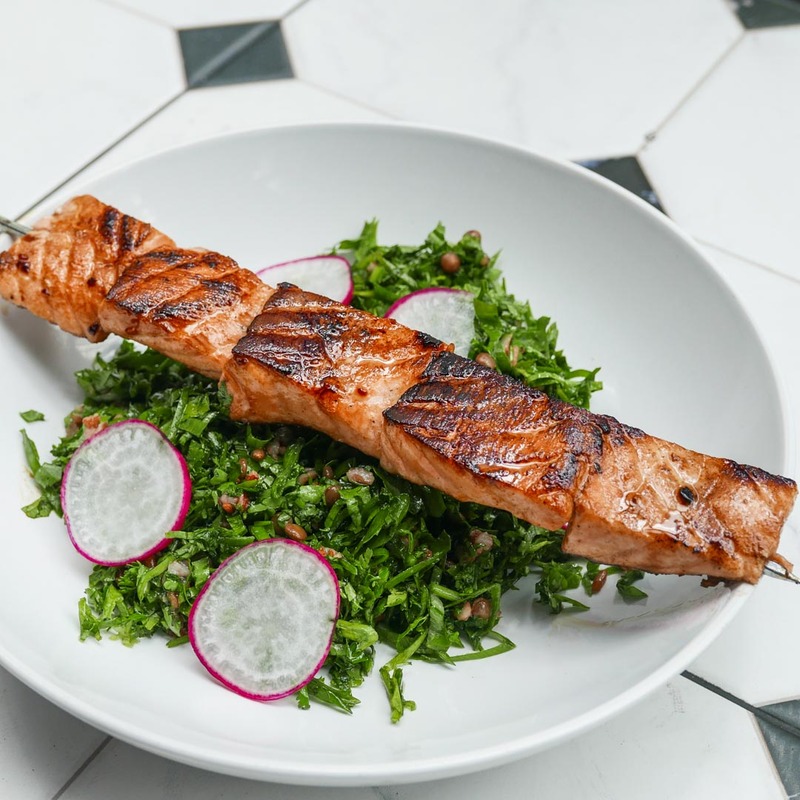 From the ocean, to the grill, to your belly comes Noor’s Salmon Skewer. Meaty cuts of this premium fish are marinated in harissa honey and served with lentils and celery salad. 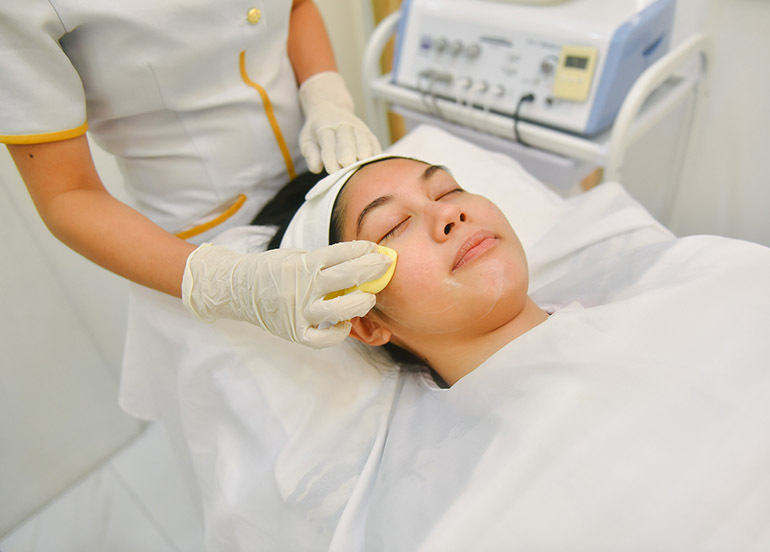 For dessert, you have to try Knafe. 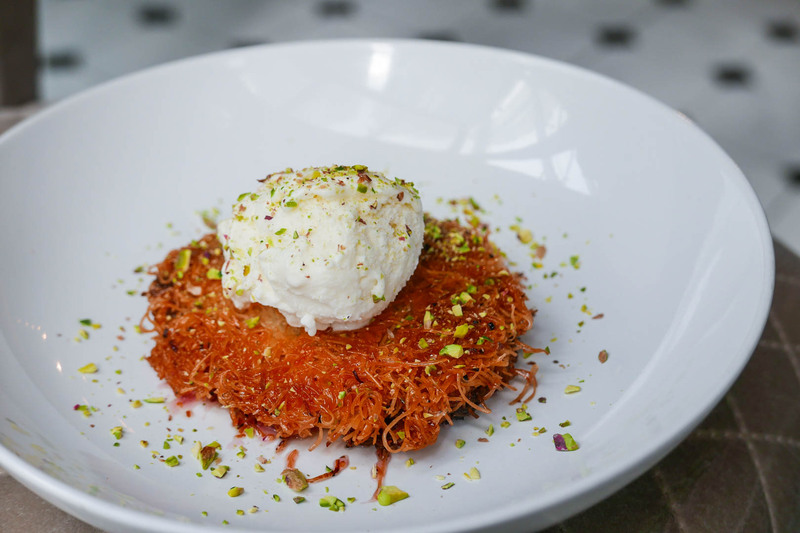 It’s baked kataifi (shredded filo) layered with butter, white cheese, and drizzled with rose water syrup. If that doesn’t sound amazing yet, how about this— it also gets topped with homemade yogurt ice cream and chopped pistachios! Noor is perfect for any occasion; everything about the place seems to encourage eating as a communal experience. 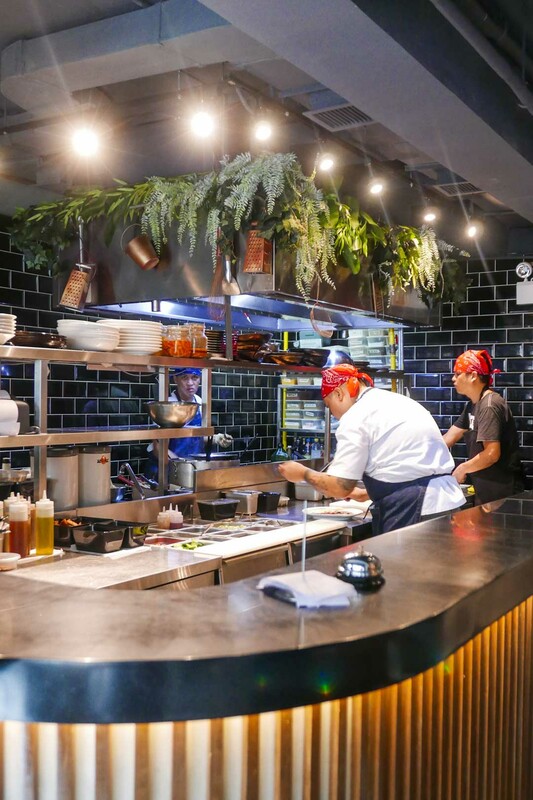 First, there’s the open kitchen; seeing how dishes are prepared, diners can form a connection with their food before it even reaches the table. Most of their dishes are meant to be eaten with hands; this not only softens the formality of dining at a restaurant, but also heightens one’s sensual connection to the food. You become more aware of the tastes, textures, and aromas. Lastly, the portions at Noor are big! They’re meant for sharing; so, for those who prefer dining family-style, splitting plates is a smart way to try a little bit of everything. 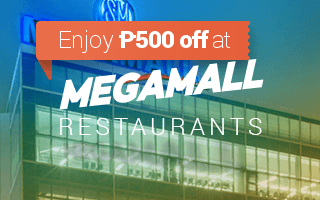 And trust us, you’ll want to eat your way through the whole menu! 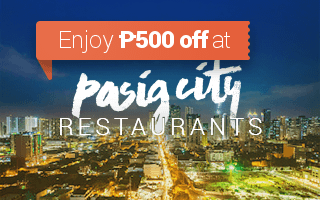 When you book a table at Noor with Booky, not only will you enjoy ₱500 off your bill, you will also get a free dessert. The catch? 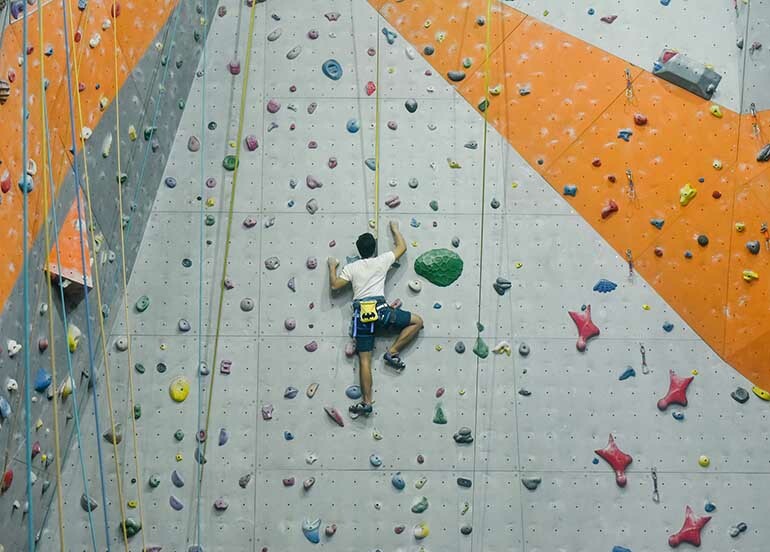 Just answer our quick feedback form. 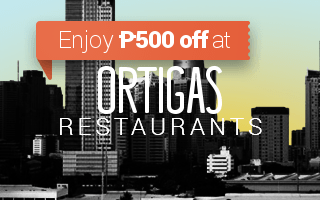 Simply show it to the staff at the end of your meal and enjoy a sweet treat on us!